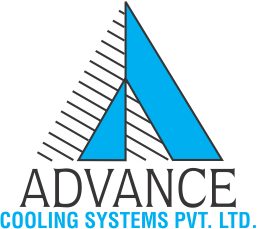 We have installed over 75,000 cooling devices till date and have a customer base of over 1800 satisfied users which meets the needs of vital industries - metal cutting, telecom, food processing, chemical, instrumentation, electrical and electronics, medical and other fields. Our products are used around the globe with installations in the Middle East, Indonesia, Vietnam, Singapore, Japan, Malaysia, South Africa, Nigeria,Australia, United Kingdom and USA. Our business hinges on offering the customer superior value. We are an ISO 9001:2008 certified company and Quality is accorded top most priority. It marks every stage of manufacturing - from raw material which is subjected to strict incoming inspection to final testing, checking and commissioning. Great emphasis is laid on research and development, so that we can offer our customers better solutions that meet changing market complexities. A wide network facilitates customer service and reach. High-calibre engineers study customer requirements, assess problems and provide solutions for high operational safety and reliability. Service contracts are also offered, each call attended to with utmost care and dedication. Training for customers is also provided wherever necessary. Underlying this effort is our conviction that we are your Partners in Progress.